As part of the on-going exhibition Importing Architecture in the National Architecture museum (www.nasjonalmuseet.no), Olaf de Nooyer from the Renzo Piano Building Workshop was invited to speak about the recently completed Astrup Fearnley Museum in Oslo. For this project they partnered up with local architects NSW and an architect from the Genova office was stationed in Oslo to supervise the building process. 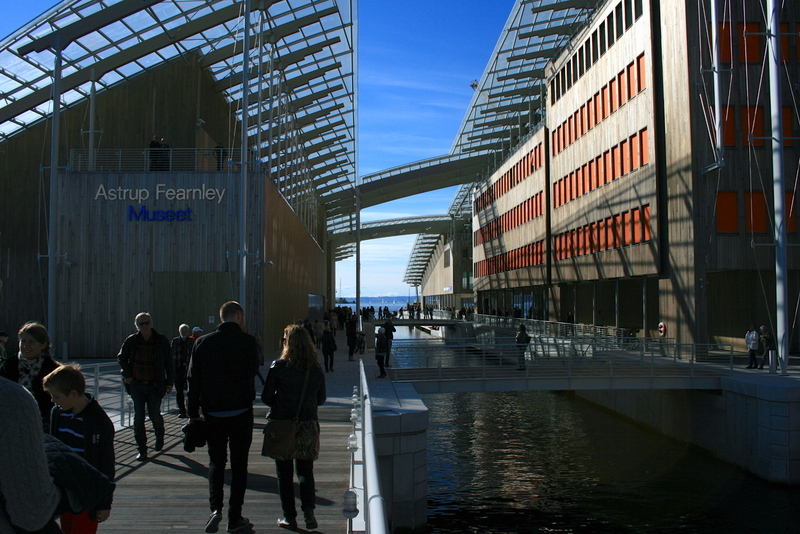 The opening of the Astrup Fearnley 29th september 2012 was a big event in the city (Oslo). 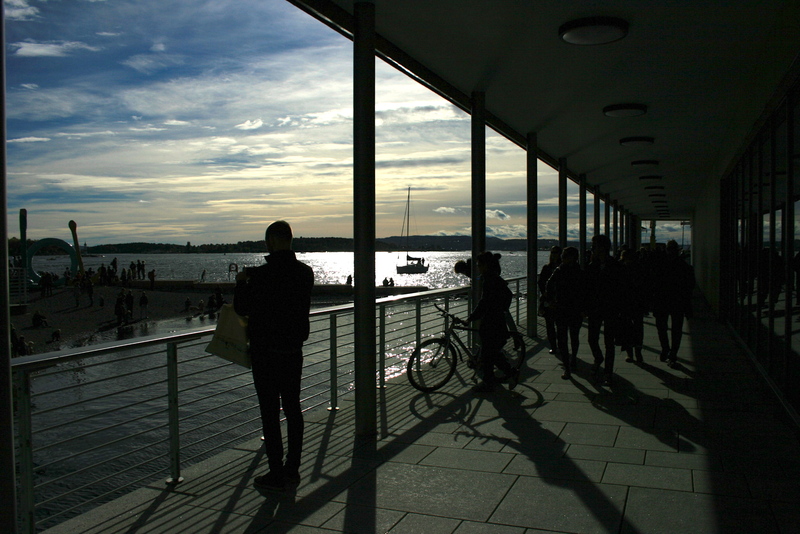 Everyone was in Akerbrygge, the newly developed former harbour area, enjoying the surroundings and squeezing into the museum. In such a rush the museum showed its qualities and its flaws. The museum is divided in two buildings, the temporary in one and the permanent in the other. One enters into the temporary part and is lead into one of the larger art spaces where the tour begins. It feels like the route through the museum is missing that easy flow. It occasionally leads you to dead ends and spaces without a clear hierarchy, exhibition spaces resembling circulation areas. A queue assembled before a bridge leading to another room, which once there, revealed that it didn’t lead anywhere and one had to squeeze past the crowds to go back again. As mentioned above, In order to reach the permanent exhibition you need to exit and go outside, find your ticket again and scan it on the machine (typically I would have lost that ticket by now or it would be buried deep in my bag, never to be found again). But by going outside you are confronted with the city on your walk through the museum and the interior art spaces this link between the museum and the city is the most interesting part. It fits well at the end of the former pier and it’s divided and rather muted form blends well with the scale of downtown Oslo municipality area. The materials complement this and the juxtaposition of the wood and the light glass roof is a straightforward yet predictable choice. 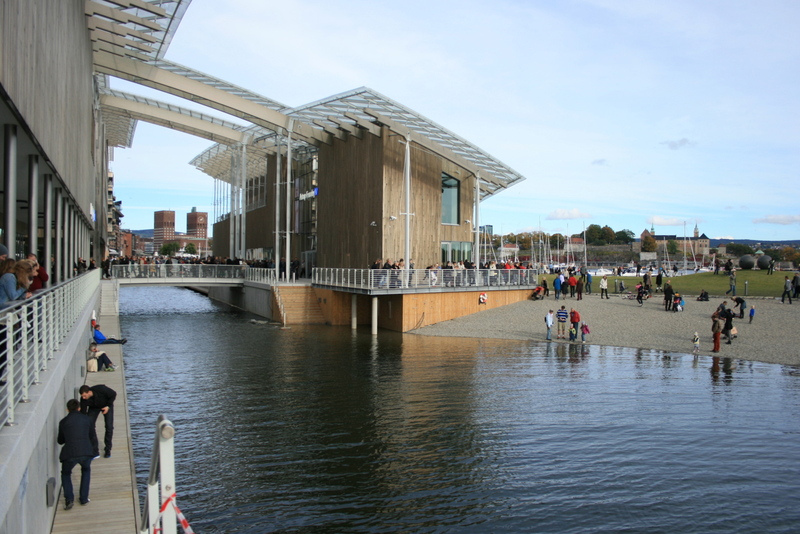 Renzo Piano refers to Louisiana (see: https://socialskillsarchive.wordpress.com/2012/10/17/new-nordicbuilding-in-the-north/) for its “unpretentious, simplicity and informality” and its sense of place (see interview with Renzo Piano about the building here:http://www.afmuseet.no/en/om-museet/bygningen) . He talks about mixing the sacred (art) and the profane (enjoying life), that the pursuit of art should be enjoyable and easy for everyone. 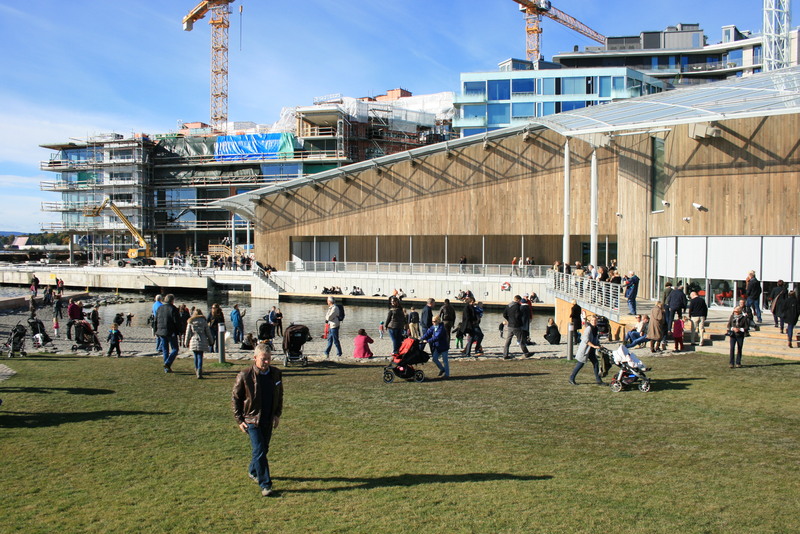 The museum was supposed to be a new part of the city, like a village, that has this public function of providing a space of enjoyment for the citizens of Oslo. 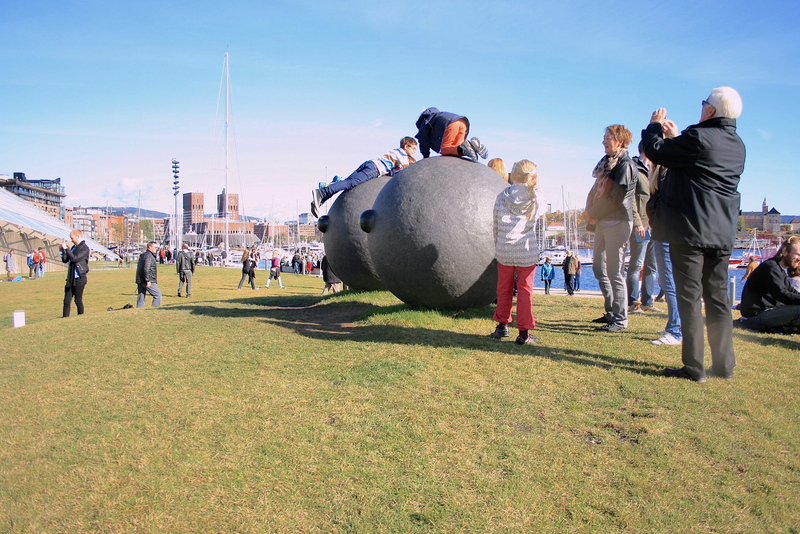 The project seems to be a success on the scale of the city and in generating a new urban space for the people in Oslo, it is a bit of a pity the interior art spaces do not reflect this level of quality.